2165 Bandito Sea Scanner Sea Sled. 2165 Bandito Sea Scanner Sea Sled. Hold on to the two handles and tow behind your boat at idle speed only, to scout for your diving spots or just for fun. Cover a lot of area fast, similar to the way a scooter would. Not for use with scuba. You can climb, dive, roll, and bank with ease like you are flying through the water. Remember to take the Sea Scanner out of the water before running your boat at speed or you will break it. Includes a comfort grip on both hand holds. 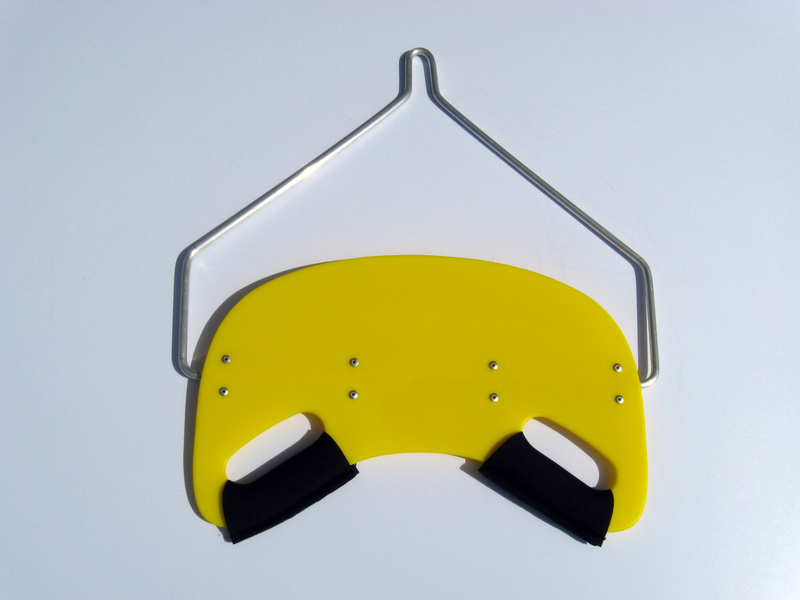 3/8” diameter Aluminum tow bar, Yellow, ¼” thick body to slice through the water easily. Does not include the line that attaches between the boat and the Sea Scanner. The Bandito Sea Scanner Sea Sled does not float so it is recommended to put a float on the line in front of the Bandito Sea Scanner Sea Sled. Made in The Florida Keys, USA.